Fake Microsoft Office Activation Tech Support is a Trojan infection that can show up on your computer and take over your screen after you install a questionable freeware bundle or an illegal version of the MS Office suite. While the displayed activation wizard may look totally authentic and convincing, you should know that this is indeed a so-called technical support scam as the name of this malware infection also suggests. We have seen a number of such infections in the past year emerging from time to time, and we can tell you surely that these are all about one thing: pushing you to call a given telephone number. Although this malware poses as an MS Office package activation tool, it only wants you to call the allegedly toll-free number to sell you some unnecessary software or service. If you want to free up your system, you need to remove Fake Microsoft Office Activation Tech Support right now. Otherwise, you will not be able to bypass this annoying fake activation wizard. There are mainly two ways for you to get infected with this Trojan, as we have already mentioned. First, it is possible that you are searching the web for an illegal or cracked version of the MS Office suite. When unsuspecting users try to download a free or cracked program, the problem is that there is quite a high chance that they end up with all kinds of malware threats on their machines instead of or in addition to the targeted program. Obviously, cyber criminals know best that there are hundreds of thousands of people who hunt the web for free stuff daily: e-books, movies, music, games, and other software. This is why they have set up loads of fake websites to promote malicious software packages. So if this first possibility describes your situation, you should know that there could be other threats on your system apart from this Trojan, such as adware apps, browser hijackers, and potentially unwanted programs. In other words, if you delete Fake Microsoft Office Activation Tech Support, this may not fully and completely clean your computer of all potential threats. Another possibility of your infection is that you click on corrupt third-party advertisements. This can happen when you are searching for any targeted free application or file to download, or your computer is infected with adware, which can also present to you such unsafe ads. In any case, we suggest that you try to avoid suspicious file-sharing (torrent and freeware) websites and ones that are annoyingly filled with third-party ads. We recommend that you run a system malware scan after you delete Fake Microsoft Office Activation Tech Support from your computer in order to detect all possible threat sources. Our research indicates that this fake MS Office activation program is not a unique one on the palette of technical supports. It is indeed very similar to “Fake Windows Defender Prevented Malicious Software Tech Support,” “Microsoft Security essentials +1-888-496-5150,” “Fake Activation Support 1-877-784-7461,” and many others indeed that have hit the web in the past months. Although these infections may appear to be innocent and ones that do not cause any real damage, there is of course a risk about having them on board apart from the headache of eliminating them from your screen and your system. You can try to enter your MS Office product key if you have it, but nothing will really close this fake activation wizard. Unless, you know the “magic” code that malware hunters found out about. This code is built in this infection. There are, in fact, two ways to exit this malicious program. Since this wizard always stays on top and blocks your screen, and you cannot even close it the usual way, by clicking the X button, this is rather annoying and could make inexperienced users believe that they can actually get support by calling the provided “toll-free” telephone number, “1 800 935 6918.” First of all, you can use your Task Manager to kill this malicious process. Second, you can use the aforementioned built-in code, which is “THTY4-89LK6-RTI23-XZTOP-05ERY”; and, the window will close finally. It is important that you never call the supposed technical support telephone number because you will simply be scammed by professional schemers or salespersons whose only goal is to sell you some useless product or service. If you do not want to lose a few hundreds of dollars and personally identifiable information, we believe that you should remove Fake Microsoft Office Activation Tech Support right now. Even if you are a beginner computer user or someone who does not have real IT skills, you may be able to delete Fake Microsoft Office Activation Tech Support manually if you follow our guide below. However, do not forget about the possibility that there could be other malware infections on your computer. Until you eliminate all of these, you cannot really feel safe anytime you switch on your PC or go online. Therefore, we advise you to use a reliable anti-malware application, such as SpyHunter in order to automatically and efficiently protect your system from all existing malicious attacks. It is also essential that, at the same time, you keep all your drivers (Java and Flash) and programs regularly updated. Locate the malicious process (it should be named “MS Office Activation.exe”) and press End task. Locate the suspicious file (it should be named “MS Office Activation.exe”) and delete it. This file might appear in %PROGRAM FILES% or %PROGRAM FILES(x86)% directories. 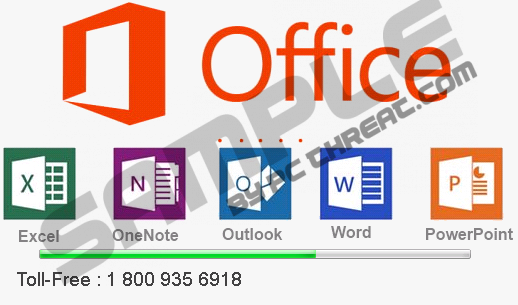 Quick & tested solution for Fake Microsoft Office Activation Tech Support removal.